Grandfather oak before and after 7.5 years of healing. 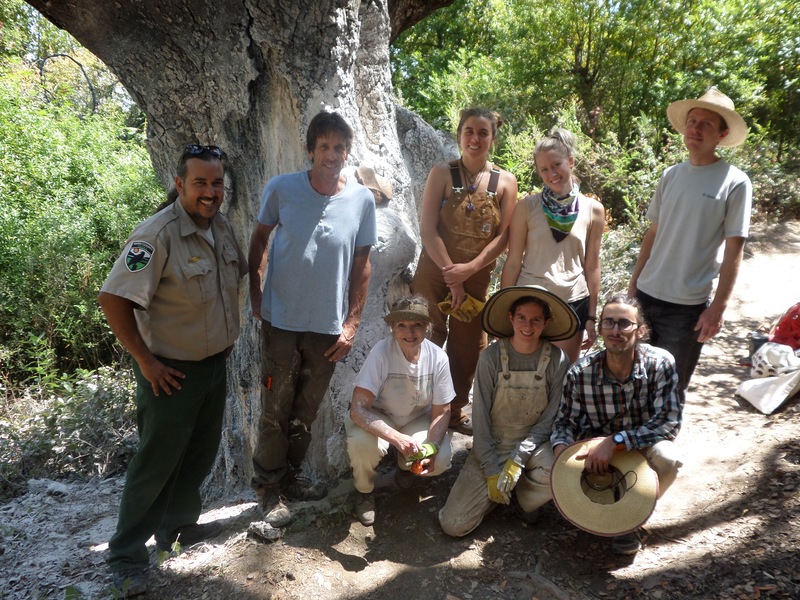 Last week a group of volunteers, assisted by Greg Laden of Marin County Open Space, visited a 400+ year-old coast live oak growing on King Mtn. I have reported on the progress of this oak in two previous posts: Grandfather oak and Grandfather oak – April 2011 update. This oak lies along the main trail up King Mountain and has captured the attention of many a hiker. Donna Shoemaker is one of those hikers. 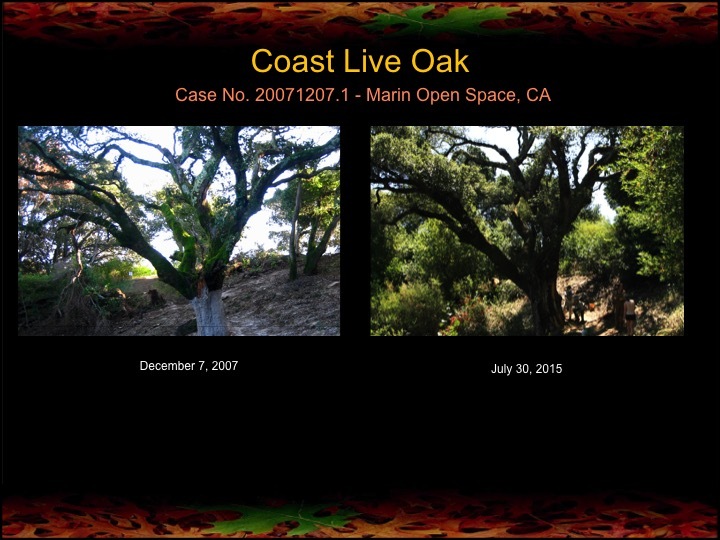 In the Fall of 2007 Donna contacted me about her concerns for the health of this oak. When I inspected it I found it was indeed in poor shape with signs of disease and insect infestation. I proposed a plan to her that could help the oak, but I was not optimistic that it would ever be cured. Donna organized a volunteer party to treat the oak and in December of 2007 we gave the oak its first of several fire mimicry treatments. 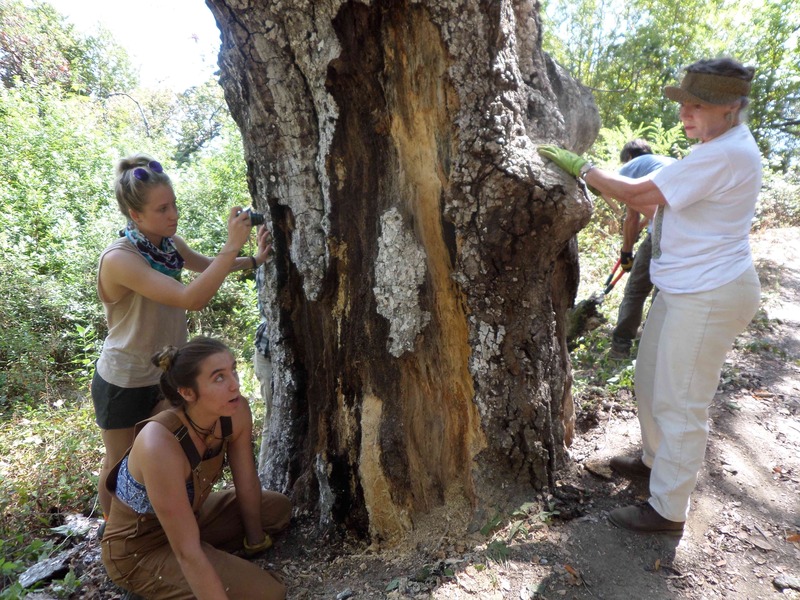 There was an article by Richard Halstead in the Marin IJ (Sudden Oak Death Roars Back) that described the event, adding that “scientists studying the disease expect the (fire mimicry) treatments will prove futile”.